Cellulite can often upset skin tone and texture, especially in the thigh and buttocks areas. Eating right and working out is great for maintaining optimal health and weight but eliminating those unwanted dimples may require some help. Board-certified plastic surgeon, Dr. David Dreyfuss, is proud to offer Cellfina®, a cellulite treatment which provides stunning results. Worldwide, 1.4 billion women deal with cellulite. Many have tried multiple remedies for eliminating this problem including liposuction, herbal products, massage, and weight loss with little visible improvement. 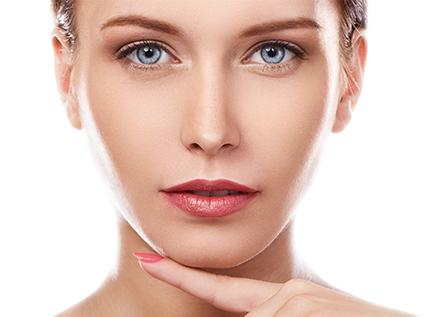 Dreyfuss Plastic Surgery can help you ditch those dimples and add confidence to your skin appearance with Cellfina®. Cellfina® is the first FDA-cleared minimally invasive treatment which reduces cellulite visibility after only one treatment with results lasting up to three years. It is the only cellulite procedure which has proven to correct cellulite visibility. After just one session, you should see results within three days, with improvement continuing for three months. Studies indicate results can last up to three years. These studies show the longest duration of positive outcomes of any cellulite treatment presently on the market. Other cellulite treatments may use lasers to liquefy fat and cause the skin to contract. This technique does the opposite of what should happen in areas affected by cellulite. Contracting the skin will not improve skin texture without the bands under the skin being corrected. Cellfina® targets the connective bands woven through fat tissue, the main cause of cellulite. These bands create a dimple effect on the skin surface when they pull downward. Cellfina® treatment is a small needle-sized apparatus which eases the tension from these bands allowing the skin to return to a smooth surface. Cellfina® is an in-office treatment performed under local anesthesia. Dr. Dreyfuss will place tiny needles beneath the skin to release the underlying connective bands. The treatment lasts less than an hour. It is extremely tolerable with little discomfort. Patients can resume their normal activities after the procedure but should take it easy for at least 24 hours. There will be mild bruising, tenderness and soreness which will subside after a few days, no longer than a week. The patient can manage any discomfort with over-the-counter medication. You should realize improvement after three days with best results after three months. Studies indicate 85% of Cellfina® patients are satisfied with their results after three months and 94% after one year. This satisfaction rate exceeds all other cellulite treatments in use today. To learn more about Cellfina® and to reduce visible cellulite, you can contact us today to schedule a consultation with board-certified plastic surgeon, Dr. David Dreyfuss.